No time to explain! You just need to know that the second of the fresh batch of video-blogs is now up and ready to view! Go and look at it! Go on! Now! That's right, Magic, ladies and gentlemen! 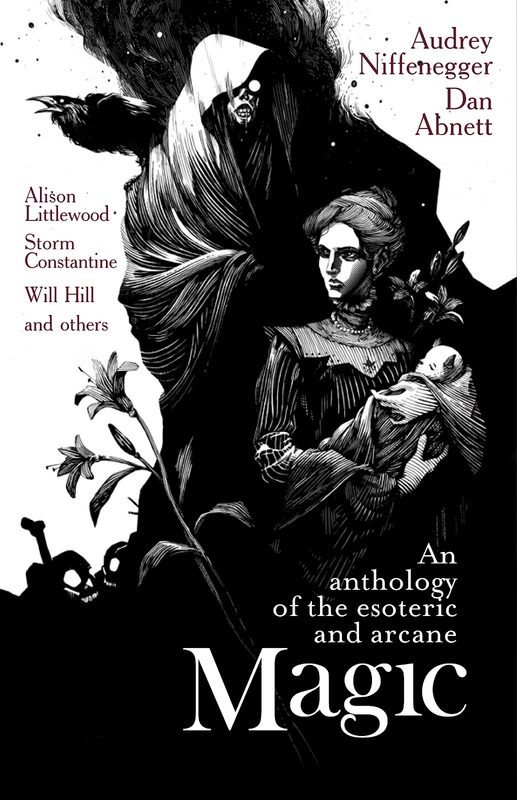 It's a new anthology of original fiction from Solaris, and I've got a story in it (among some illustrious company). But don't just take my word for it... or rather DO, because that blather segues rather neatly into this link, which will take you to the first of my new batch of recently recorded video-blogs, answering your latest round of questions. Many more chunks to come, but this one starts the ball rolling with a chat about Magic, and other forthcoming projects. Thanks for all the questions, by the way. They were great and various and very probing. You should all be interrogators for the Holy Ordos. I'll be posting up new vlog segments every few days, so stay tuned. I thought many people would like to see this. The wonderful audio book version of Embedded produced by the splendid people at Brilliance. End of September release date, as I understand it. Second of all... I'm going to be doing some more video blogging, so I need questions to answer... or at least to use as prompts from which to ramble indiscriminately for half a fething hour until I remember the point of what I was saying. *Please note "Why did you kill Bragg?" is not a question.